Speaking fun game to practise verbs patterns in English. Students roll the dice and make sentences using the prompts in squares. 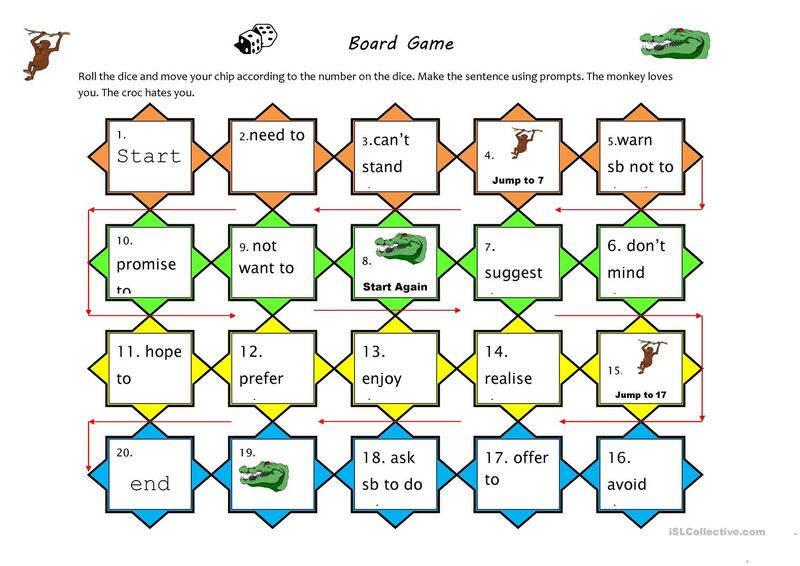 Could be played in small groups or in pairs. The sentences could be in present, past or questions. Up to the teacher. This downloadable printable is meant for business/professional students, high school students and adults at Pre-intermediate (A2), Intermediate (B1) and Upper-intermediate (B2) level. It is great for teaching Verb patterns in English, and was designed for working on your learners' Listening, Speaking and Reading skills.